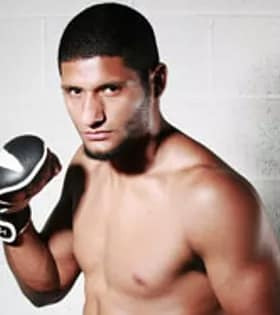 Originally from Brazil, Dhiego Lima is a Professional Mixed Martial Artist fighting out of Atlanta, GA. He fights for the Maximum Fighting Championships MFC in Edmonton, Canada and is a Jiu-Jitsu purple belt. He currently holds a 6 – 0 record, two by knockout and four by submission in MMA has been ranked as high as #2 on the 2012 World MMA Welterweight Scouting Report.